Make sure you have ordered enough inventory from you manufacturer(s). Holiday sales of popularly gifted items can easily increase by 3X-5X. Make sure your FBA inventory for Black Friday/Cyber Monday has shipped to Amazon no later than late October. 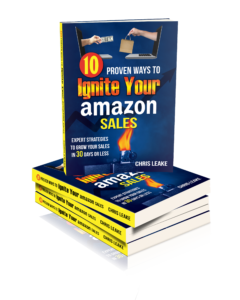 Do all your prep work for FBA inventory yourself, rather than having Amazon do it. Make sure your product detail pages are well-optimized. Be testing keywords and advertising campaigns. Register your brand and add Enhanced Brand Content if you have not already. Work to get more reviews of your products. Submit Lightning Deals plenty early. Get set up to sell on other platforms, such as the Walmart Marketplace. Get set up to sell on Amazon in a new country. Spend advertising money now to grow your brand’s following. Specifically work to get people on your email or Facebook messenger list, so you can promote to them. You’re always eating last season’s harvest, so plant now for the harvest you want to reap later! Want Help with Your Fourth Quarter Strategy? Book a consulting session with us and we’d be happy to help you plan!